This year sees Navigator Systems returning to the PLASA Show after an absence of a number of years – the reason for this – quite simply visitors to the PLASA show wanted to see, touch and play with the latest tactile technology, whether that was the latest lighting or sound desk, FX or staging equipment – software was something to be played with at home or in the office on one of those “quiet” days. However things have now changed, rental businesses are realising more and more that they need to use the best Rental Management Software if they’re going to be able to manage their jobs, track all their equipment and successfully report back to their investors information such as the ROI of their rental stock. It’s 22 years since Navigator Systems first demonstrated our rental management software system at the PLASA Show, winning the coveted Awards for Product Excellence due to our innovation in producing the first Windows based rental management software. Since then our software has gone from strength to strength leading the industry with many innovations. Our clients tell us that we stand out from the competition because we understand their working processes, not just the industry and not just our software. 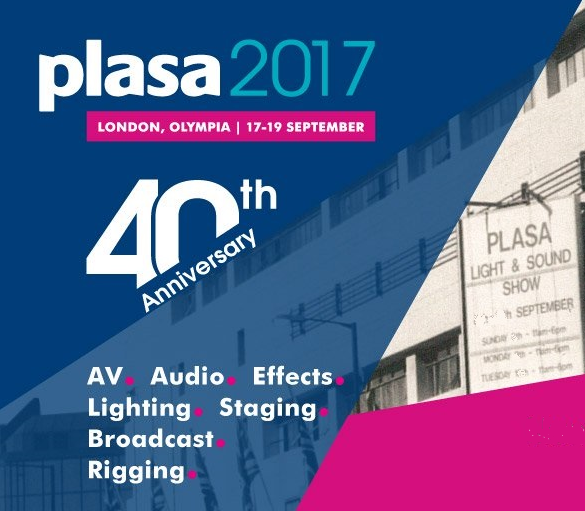 Join us at PLASA 2017 (we’re on Stand L11) and as our valued customer, you can register for PLASA 2017 free of charge. Simply click here to register and save the normal admission fee. One of the things we pride ourselves on at Navigator Systems is being different to the rest, which is why you’ll never see the same stand at PLASA each year. Here are some of the unusual stands we’ve built in past years. The return to the heart of West London in 2016 has restored the PLASA Show to its industry leading position in the UK and returned it to the centre of the thriving entertainment industry. The event continues to evolve and this year offers unparalleled access to some of the world’s best-known brands and a programme of interactive and thought provoking content. The event presents ground breaking technology and exciting new launches by the world’s greatest designers and engineers to an international audience of pro audio, lighting, broadcast, AV and stage technology experts. With live demo opportunities for the audio and lighting sectors, technical workshops and training sessions, networking sessions, conferences, topical seminars and the much-loved social element of the show, PLASA 2017 is set to be another unmissable event. This show is owned and organised by PLASA, the leading international trade association for live entertainment technology. An industry-leading educational programme offering 100+ industry experts giving key-note talks, live demos, interactive workshops and panel discussions from some of the world’s most prolific designers, engineers, production and venue teams.